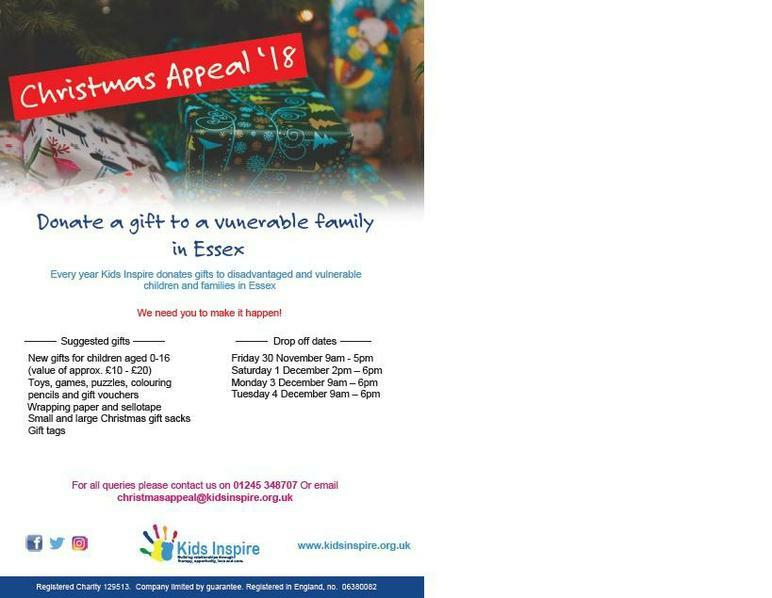 We will be delivering our gifts to Kids Inspire on Monday 3rd in the evening. If you would still like to contribute please make sure they arrive at the office on Monday. Many thanks for all those who have donated, we have lots of wonderful gifts to pass on!